Bastille Day Foods: Best Ideas For An Easy Holiday Menu! 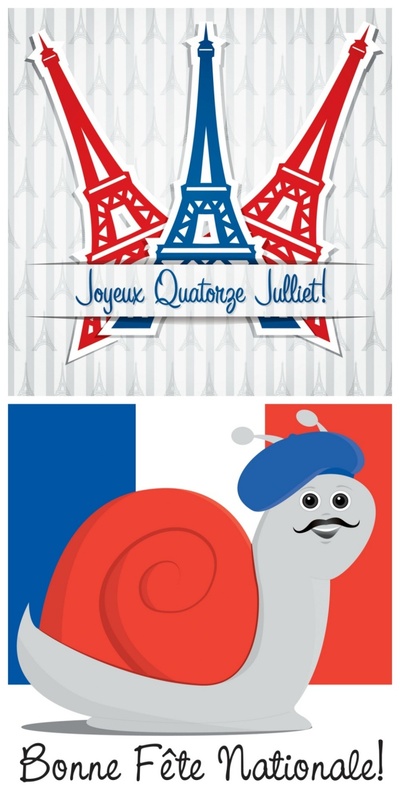 Bastille Day Foods – July is a super busy month for us. In this family we celebrate 3 national holidays! Canada Day on July 1, Independence Day on July 4th and Bastille Day on the 14th. If every province in Canada has a regional specialty, then Quebec lays claim to the traditional poutine. I personally do not identify the Big Mac® or a hot dog as typical American food. There are so many regional food specialties within the U.S. – Pennsylvania Dutch, Cajun, Tex-Mex… I could go on! Each country has it’s traditional, regional foods and dishes but France does not have a “national dish” per se unless you want to wave a crispy fresh baguette and juggle several wheels of brie. On this day in 1789, citizens stormed the Bastille Prison in Paris. It marks the official beginning of the French Revolution. 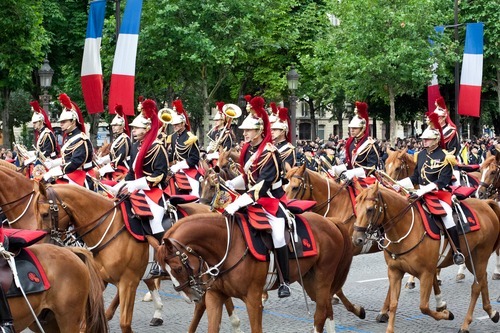 Every July 14th, the French celebrate Bastille Day. The Champs Elysées in Paris is the scene of a huge military parade capped off by spectacular fireworks at the Eiffel Tower. The scene is repeated throughout France with every town and village staging its own Bastille Day events. What Bastille Day Foods Do The French Eat? There is really no such thing as “traditional” Bastille Day Food. It is more a question of what each family prepares for the national holiday. I asked Maman this very morning what she remembers having on Quatorze Juillet gatherings during her childhood. On the spur of the moment, all she remembered was les cerises – cherries. 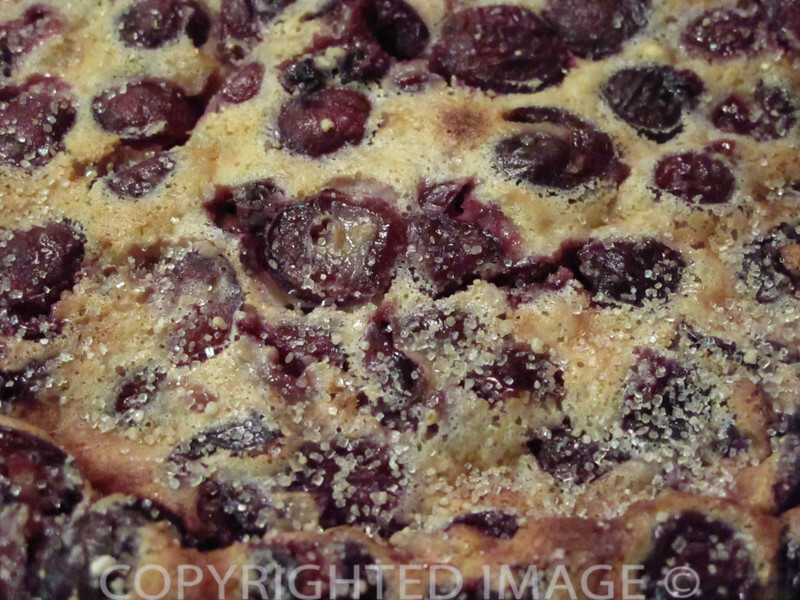 I can think of cherry pies but more specifically a clafoutis aux cerises! They’re having a barbecue! Sounds familiar right? Party time is party time regardless of where you celebrate a national holiday. Just as in the United States, every one plans an outdoor picnic with family and friends, some attend the town gathering or prepare a special meal at home with the regular sides – some will opt for seafood, some will opt for meats. 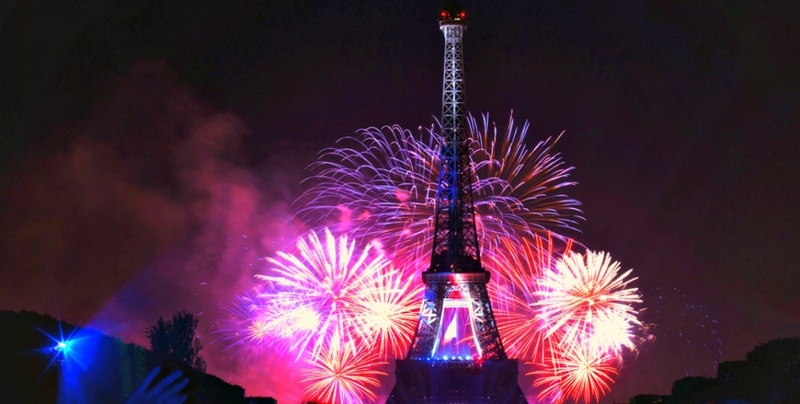 What Are Our Bastille Day Foods? That does not mean we can’t come up with a revolutionary menu, put on a great party and cook great food. Even at home. We aim for a tricolor theme for the food but I’ve never known my grandmothers to bother with le bleu, blanc et rouge as part of the dish. The local bakery now sells éclairs frosted in the tricolor. Our menu for le 14 Juillet? Start the day with fresh buttery croissants topped with blueberry and raspberry jam. Treat yourself to a real café au lait. For lunch, keep it equally easy with a croque monsieur or a croque madame, a side of salad greens and fresh fruit. At dinner time – un apéritif, escargots, with plenty of fresh baguette slices, a huge green salad with a tarragon vinaigrette, an “assiètte de fromages” and a cherry clafoutis. Don’t forget the wine! I’m not sure I will ever be a good enough pastry chef to tackle a Paris-Brest. Dessert is served with bubbly. Going to France this year? Then be sure to take the time to eat à la Française! If anything automatically identifies with France, it is the baguette. You don’t need a fancy restaurant to order a Soupe à l’oignon and a “steak frites”. I would find a busy neighborhood bistro and select the plat du jour aka the daily special. Bastille day shirt. Liberty, Equality, Fraternity t-shirt. Coq au vin and Boeuf Bourguignon are not far behind in recognition but these are also famous regional dishes. Cassoulet is one of those recipes that has 101 adaptations – all of them delicious regional variations. Crêpes also fit in the list of the top ten French foods. Savory crêpes you can eat as a main course and for dessert the sweet versions with orange sauce or flavored with rum. Alors, les amis… Vive la France et Bon Appétit! 1 When Was Bastille Day? 2 What Bastille Day Foods Do The French Eat? 2.1 What Are Our Bastille Day Foods?